The pharaoh Akhenaten, King Tut’s controversial father, departed from centuries of tradition after taking power in 1353 B.C. 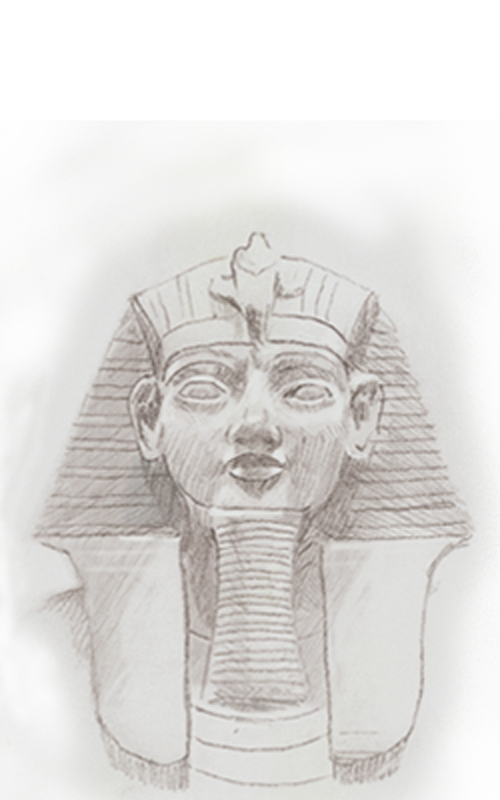 Changes during his 17-year reign included new styles of art and architecture and mass celebrations of the sun god Aten that pushed the old gods aside. 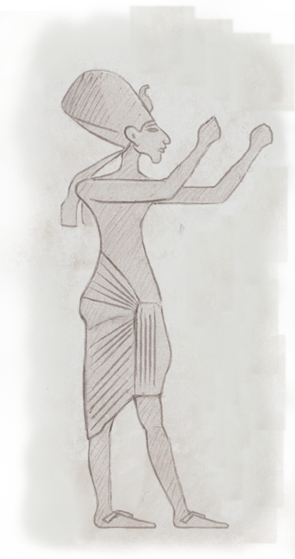 Egyptian art traditionally depicted figures in stiff, standard poses denoting formal roles and status. Common themes included military prowess and preparations for the afterlife. 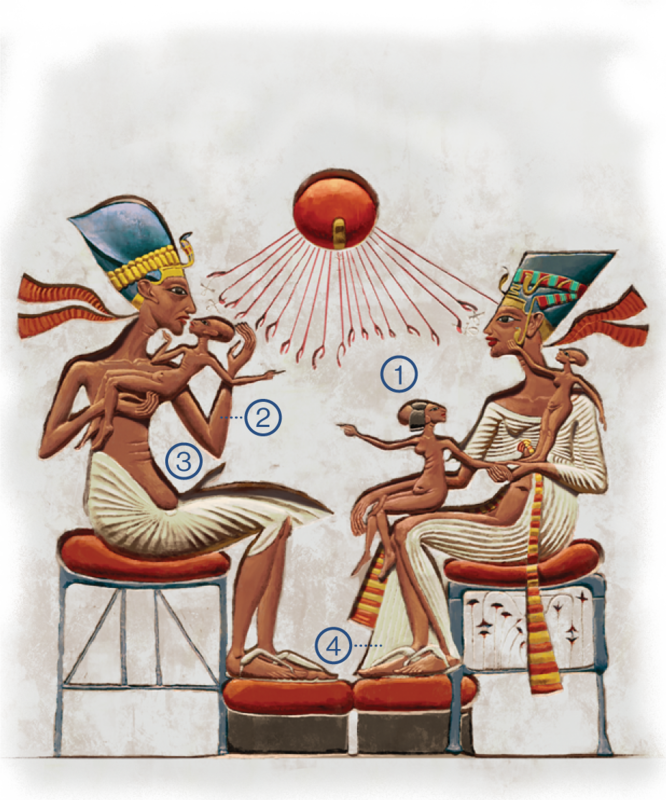 Akhenaten dramatically accelerated a shift toward intimate snapshots of family life and softer, less muscular poses in natural settings. Women assumed a more prominent role. Instead of enclosed shrines to local deities (below), Akhenaten ordered an open structure just for Aten and his earthly agents—the pharaoh and his queen, Nefertiti. In the Luxor Temple, priests in dark, incense-filled inner sanctuaries led smaller, more private daily rituals for several gods, represented by painted reliefs and sculptures. In this part of the Great Aten Temple, sunshine illuminated courtyard tables piled with food and bowls of incense. Hastily built from small blocks, walls depicted the ritualized life of the royal family. 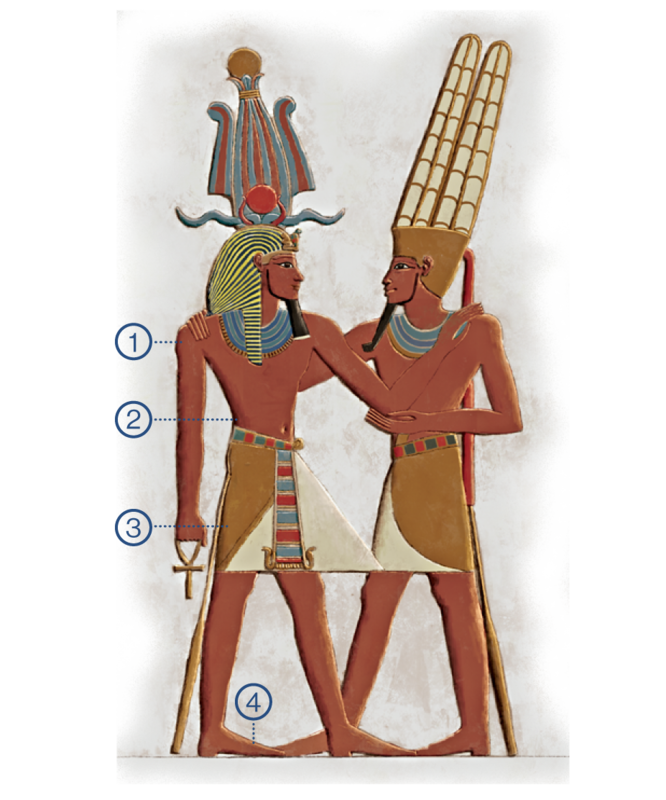 Only the sun god Aten is celebrated. 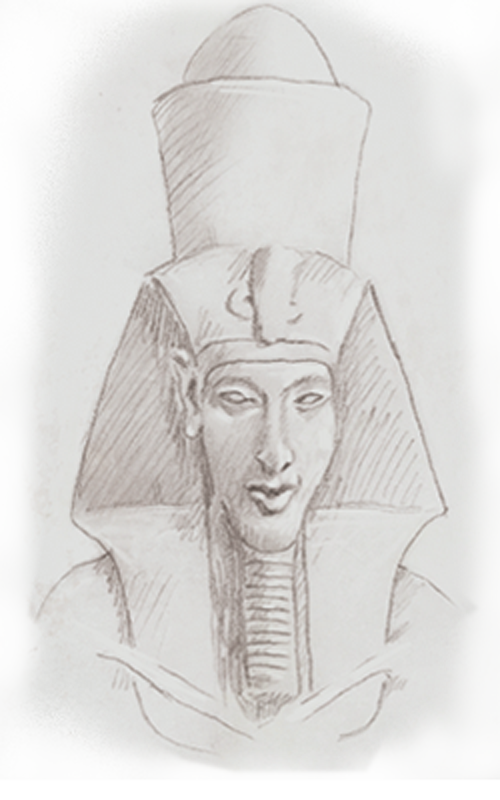 Facial features from past pharaohs added legitimacy to new ones. 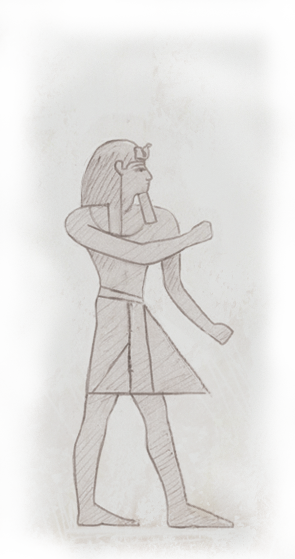 Features may have been elongated to make the pharaoh appear divine. Proportions fit into about 18 rows. Two more rows lengthen the torso and neck. 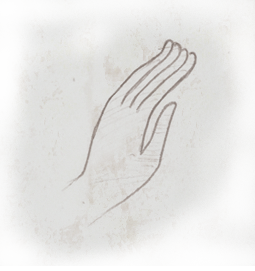 Fingers are symmetrical and lack detail. 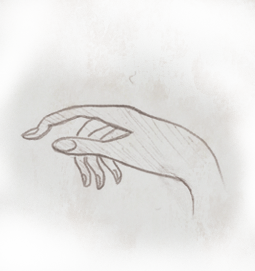 Fingers are slender, with nails.